on saturday evening ryan and i had to run up to upstate new york to see a show that is coming down to our theater this weekend. we got there a little early and had a few moments to spare, so we checked out a few stores in the area. we came across a cafe and stopped in to grab some coffee. 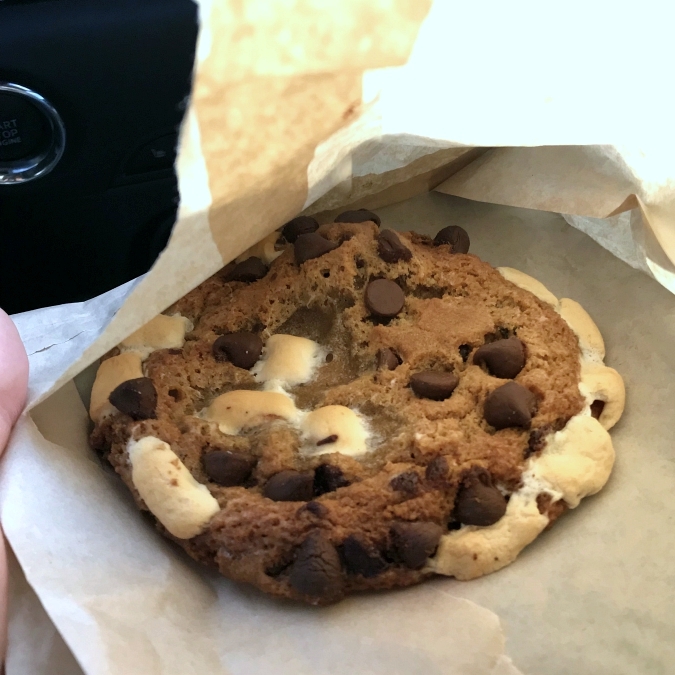 we couldn't resist the humongous s'mores cookie sitting in the display case. it was so good and made for the perfect little treat to get us through the show. here's to the little things like cookies that make all the difference sometimes when you are exhausted! A good treat with a cup of hot coffee always hit the spot.